Love For Books – Grab a cuppa, tell a story or listen to one. 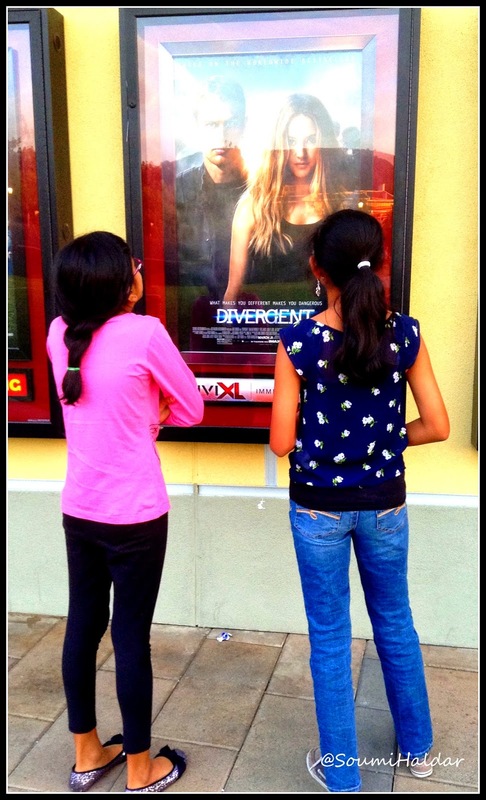 We ran a post on Book Clubs to get the younger kids to read and shared a book review for “Divergent” earlier this week. Here are some book suggestions for the 9-11 year old’s. All reviews are written by Big Sis( the 10 yr old daughter of Bong Mom), who read these books as a part of “Battle of the Books” in her school. Get your kids reading this summer. Reading habits must be formed early. Chatoveracuppa will provide the platform to share book reviews and exchange information on reading related activities. Kids read. Kids Write. Kids Share. In A Crooked Kind of Perfect, 10 – year old Zoe Elias always dreams of playing the piano. Instead, her dad buys her a wheezy old organ. When she starts taking organ lessons everything isn’t turning out as she planned. Then Zoe enters the Perform-O-Rama competition and it’s full of surprises! Zoe Elias finds that things are better for her when they’re a little off perfect! 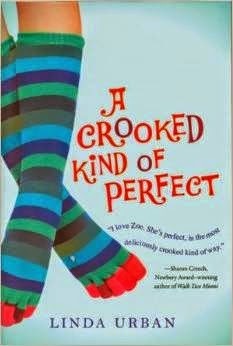 I loved A Crooked Kind of Perfect because I could relate to Zoe Elias. I am also 10 years old and I love playing the piano. Another thing that I liked was that Zoe was very optimistic. She was mad when her dad bought her the organ but she always kept her chin up. I found it lacking some suspense because the more suspense is better for me. It’s a new school year of fifth grade at Snow Hill School for the kids and their teacher. Jessica, Peter, Alexia, Jeffrey, Luke, Daniella, and Anna are all having trouble fitting in and making friends. It seems like the only one who can deal with all these kids is Mr. Terrupt, their new fifth grade teacher. He makes it fun to learn for everyone and doesn’t tolerate misbehavior from anyone. 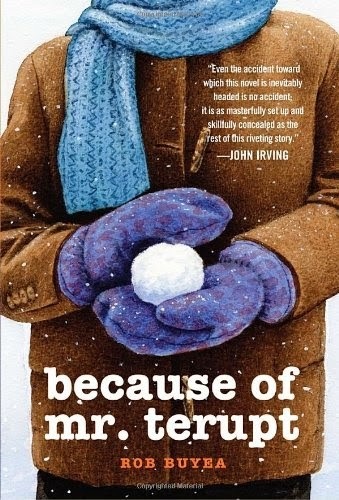 Then a snowy winter accident changes everything. I absolutely loved this book because there was a great combo of suspense and humor. Mr. Terrupt also has a great personality and he never wants anyone to feel uncomfortable. Luke has never been to school, had a party, been over to a friend’s house, or even had a friend. This is all because he’s an illegal third child forbidden by the Population Police. He’s spent his entire life in hiding and now that there’s going to be a development right next door he’s not even allowed to go outside. Once all his new neighbors move in, he sees a girls face in the window. Finally, he’s met another illegal third child. Jen is willing to risk it all for freedom but Luke just wants to play it safe. 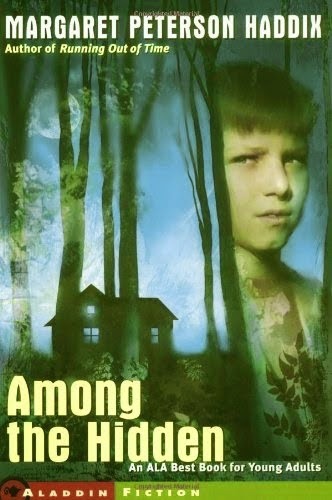 This book was very suspenseful, a bit scary, and I found it very sad. All the same, I enjoyed it very much. I found it sad to hear about how Luke had to live and scary with all their close encounters. Dowdel and his younger sister, Mary Alice Dowdel are not happy to be leaving the city of Chicago to go visit their grandma in her sleepy old country town in Illinois. Then they learned that Grandma was as abnormal as people can get. Grandma takes Mary Alice and Joey on illegal fishing trips and uses her shotgun to threaten people.Joey and Mary Alice are now eager to go down to that sleepy old town! What will Grandma do next? I loved this book because it’s hilarious with all of Grandmas wild actions! Yesterday we spoke about encouraging young children to read. Today, we share with you the book review of the extremely popular book Divergent by Veronica Roth. The movie based on the book also set the cash register ringing. We hope this review is helpful to the middle school book lovers. Divergent is an amazing dystopian novel, I was captivated from the first line. I read it in four hours straight, not willing to put it down for a second. It is a very fun and interesting book that tells the incredible story of Tris Prior, as she makes her way through her chosen faction, Dauntless. There, she meets her instructor, Four, who helps her and others get through all the three stages of initiation. Along the way, Tris has to deal with bullies, a new lifestyle, deaths, and she has to learn how to handle her divergence. Join Tris on an action packed adventure full of life, love, and a little bit if laughter! With great anticipation, I saw the movie adaptation when it came out in March of 2014 with my friend and it was AWESOME! If you want to read more about it, you can visit adayinjune.weebly.com. Bored ! This is what we hear children saying a lot during the summer holidays. We say boredom triggers creativity. In our effort to keep children occupied yet make it all fun for them, we will run a series of posts on activities some kids are doing during the holidays. This is of course outside of a summer camp. These are ideas that can be done at home with little help and structure from the parents. A book club is a great way of encouraging children to read. Get together a small group of children who love to read and also those who do not love it as much. Pick a book for all of them to read before the book club meet. During the book club meet up, discuss the book with them, ask them to talk about the book (you will hear some very interesting perspectives) and organize a few fun activities related to the theme or subject of the book. Book club is not something to be done during the summers only. But with no homework and more time available during the holidays, it makes it the perfect time to surround children with interesting reads. 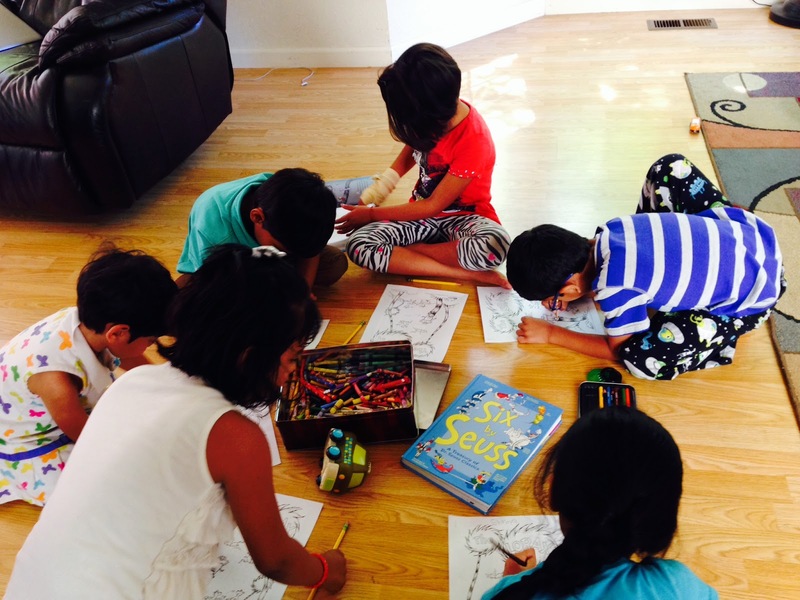 One such book club that I take my children to is for the younger children and run voluntarily by moms. 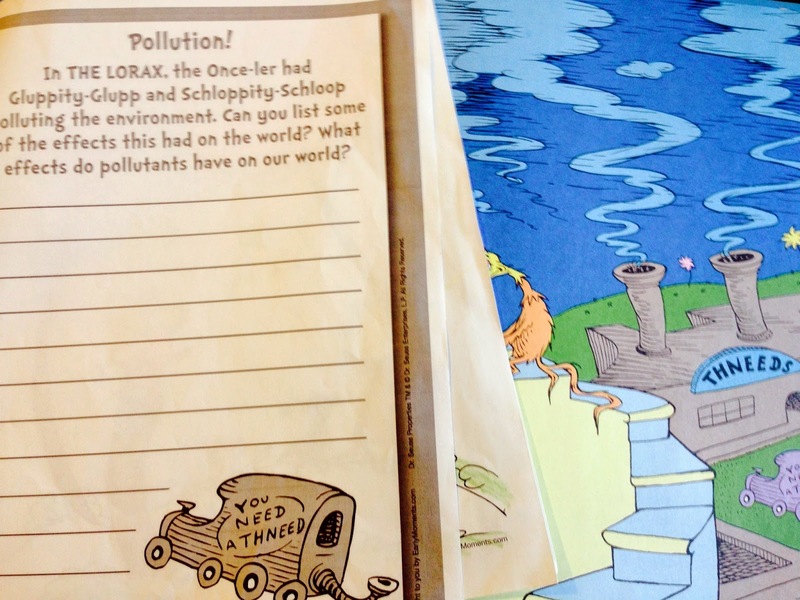 We read and discussed “The Lorax” by Dr.Seuss in our most recent session. We spoke about pollution, recycling, clean air and water. In doing so, we did not forget the moral of the story. Avoid Greed. To our surprise, most children at six years of age could define greed and distinguish between “needs” and “wants”. 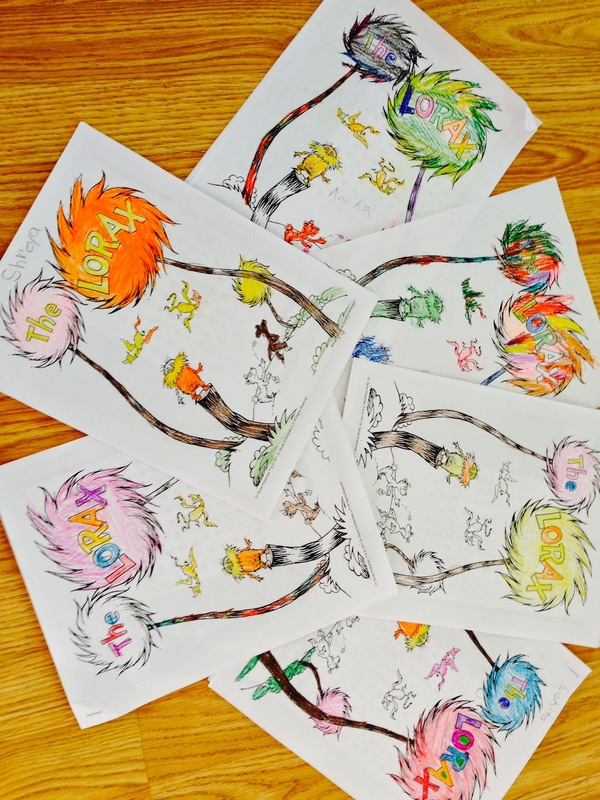 Once all the discussions were done, we let the children color the cover page of the book (The Lorax) as if they were the designers. Some very colorful results came out of that. 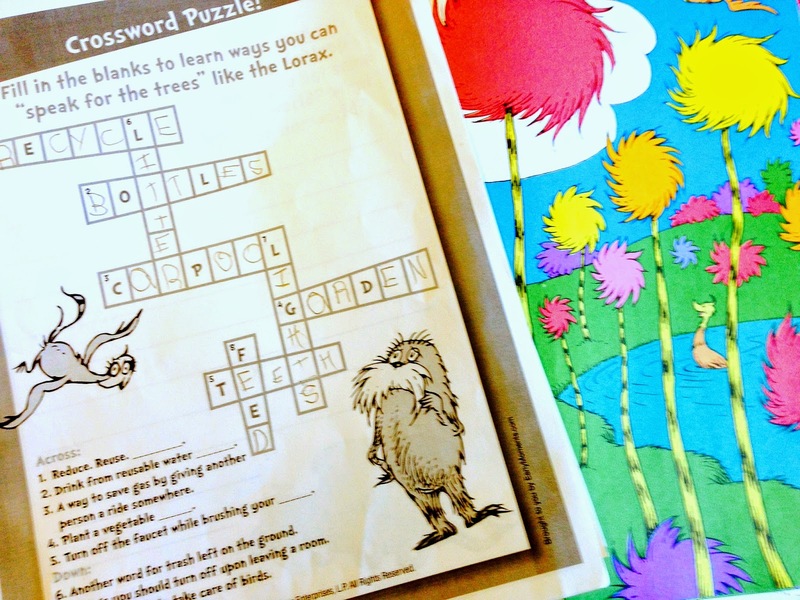 We followed it with doing some crosswords puzzles, find the words and other fun activities. Sessions are concluded with the assignment of the next book for the next session. We meet once in a week. You can choose a frequency that works for you. All this was done in about 90 minutes of time, followed by 30 minutes of snack time. I mention this because it is not too much of effort to host and conduct the book club meet. Another great idea is to ask children to maintain a reading log. Each book read gives them a point. Have a snowball fight during the book club session. Snowballs are just balls made of crumpled paper. Each child gets the same number of snowballs as the number of books read, thus the points on the reading log. The more you read, the more snowballs you get. Set some rules. Let them have fun. And make sure they clean up afterwards. So, a book club is one of our ideas to help encourage young kids to read this summer, keep them away from the television and the iPAD. Help them not feel bored. Foreword By Piya Mukherjee: Young writers have a special place at Chatoveracuppa. Today we bring you a story from another young writer. Children’s writing is usually inspired by what they read more than what they see or observe. It is surprisingly true. The characters of a book become real for them. Most children fiction is a twist on or a based of a classic story. We have seen this before in stories written by other young authors. In today’s story, the author Siddharth Kalra, regales the proceedings of a battle between Duke Wellington (the author’s imaginary character) and Alexander the great. Alexander III Macedon, Alexander the great, the king of Greek kingdom of Macedon. He remained undefeated in most of his battles during his lifetime and is one of history’s most successful commanders. Read on…. Duke Wellington searched for adventure far and wide with his army in the sea’s. But no one dared to battle him until he made fun of Alexander the great. Alexander himself came forward to battle the Duke with his whole army and his famous dragon ship which could serve as a ship as well a gigantic chariot, which could carry his whole army across any land. The Duke fled to his base for he lost the battle in the seas. He had left his commander and his three most trustworthy knights in the castle. They welcomed him. Soon Alexander came in hot pursuit. A great battle was fought in the day but Alexander retreated for the night. The next day the gate for Duke’s castle was broken open. They(soldiers) marched in, Alexandra leading them. Many soldiers of the Duke were killed while the rest fled. The Duke managed to escape and that seemed to give his soldiers a spirit. They had nearly defeated Alexander and when news reached them that their Duke had been killed. They fled in panic and their lives were not spared. Alexander went back to America and lived happily ever after. 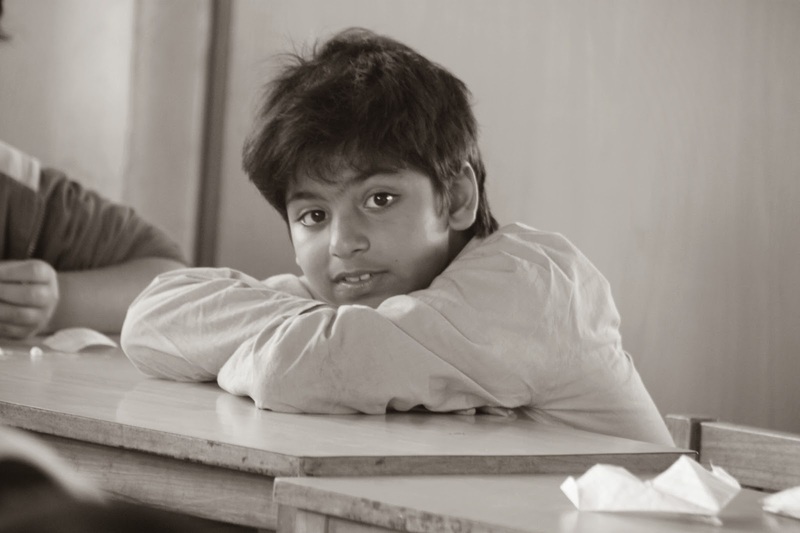 About The Storyteller : Siddharth Kalra is a ten year old, fifth grader. He is a voracious reader, painter, photographer, dreamer and much more. Those who dream can create. Those who read usually write. His imaginative capabilities are showcased in his stories, pictures and paintings.